Imagine a compact, pod-shaped caravan that you can attach to the back of your car, so small that it fits into a regular parking space, but largely enough to sleep two. Now think of a unit with an innovative design tailor made with weekend getaways in mind. Got the picture? 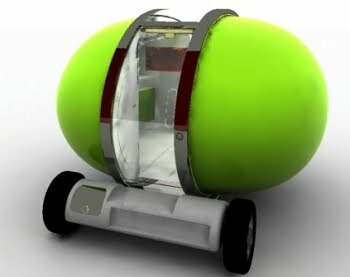 You're likely imagining David Tonkinson's Capsule Caravan, which has been designed with the young, urban iPod-loving generation in mind. 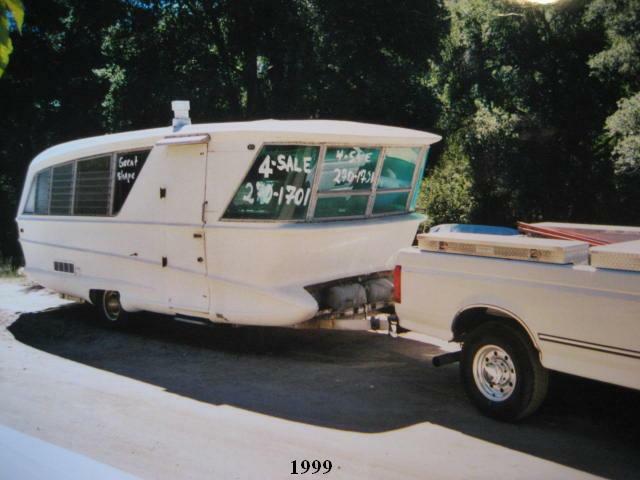 One thing is clear, this concept caravan is definitely not your parents' RV. Small and lightweight the Capsule Caravan is perfect for a quick jaunt out of the city, made even easier because it can be towed by a small car. 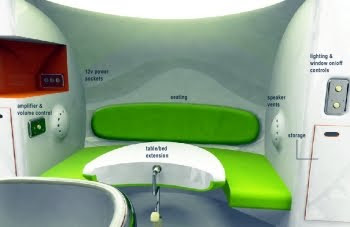 The parked pod expands and can house two people. Not only will the Capsule likely appeal to the fashionable and hip, but also to those who appreciate innovative design. 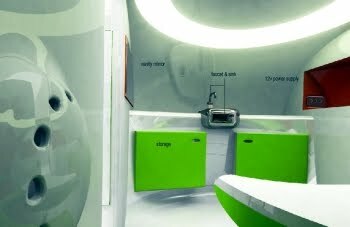 For instance, once the caravan is opened it splits in to two sperate Pods, one for "Comfort" and the other for "Service." The former is the sleeping and/or living area, while the latter houses storage and the power and water supply. Even cooler? The design uses electrochromatic film for its middle window, a material that allows the user to choose opaque or transparent settings, meaning you can decide whether you want to let in natural light or not. 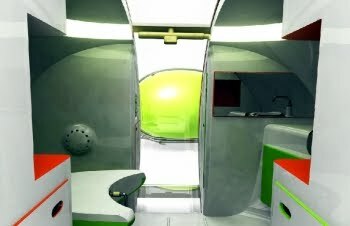 The revolutionary Capsule Caravan concept allows an entire population segment--namely space-conscious urbanites--a chance to get into the caravan market. 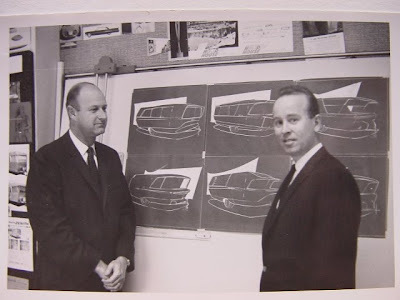 By proposing a unit that city dwellers tight on space would be able to store more easily Tonkinson has created a design that aims to help many achieve their dreams of weekend getaways in their very own caravan. Want to plan your own Motorhome Holiday? Visit MotorhomeRoadtrip.com to get started now! Photos Courtesy of David Tonkinson via WebWombat.com.au. What would you do if you found a stash of mementos wedged into the hidden panels of your campervan? Turn Nancy Drew and track down the original owner would be the answer if you're David and Rhonda Graves of Smokey Point, Washington. According to Everett, Washington's The Herald, the couple uncovered quite a few items--among them old passports and an Eisenhower silver dollar--in their RV, but didn't know who the original owner of the motorhome was and didn't have the resources to track him down themselves. It was at this point that the Graves' turned to a Herald journalist to help their cause. When Quinton Eugene Cobb moved to Mexico a few years ago he left his motorhome behind. With no need for the large rig where he was going, and no time to sell it, Cobb left it for neighbors to use. It was at this point that David and Rhonda Graves came upon the abandoned motorhome, tested the engine and decided to take it home. 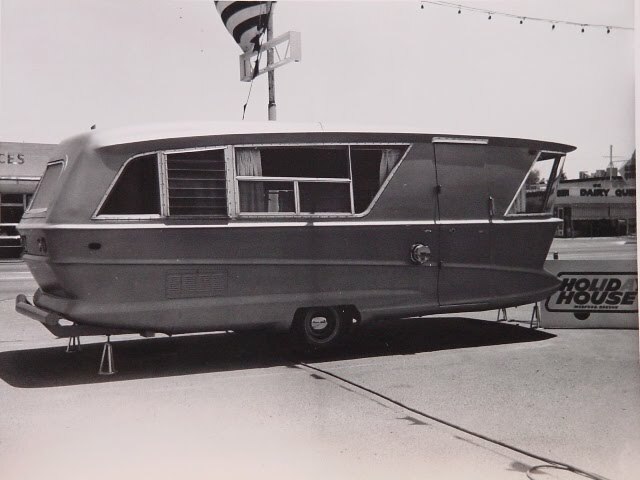 They hoped it would be a vehicle they could take with them camping. This was before the recession hit, after which carpenter David struggled to find work to support his wife and six children. To make some extra money David began taking apart the Jamboree RV to sell for parts and scrap metal. It was during the dismantling of the motorhome that the secret stash was discovered. 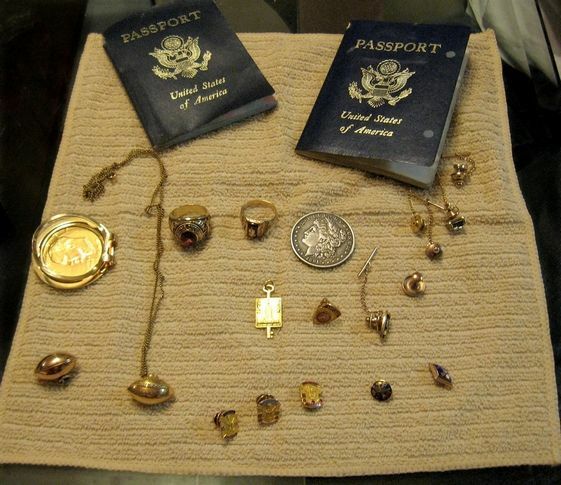 According to the Herald article the items found were "two slightly chewed, expired passports; a ring from the University of Oklahoma Engineers; a ring from a high school with QEC engraved inside; a money clip with a 1972 Eisenhower silver dollar; two football necklace charms from 1955 and 1957; five, 10 and 15 year pins from Fisher Service; a key to the city of Baton Rouge; engineering fraternity pins; two tie tacks and a 1891 silver dollar from the San Francisco Mint." Memories of someone else's life. Through Facebook and eventually Cobbs' daughter, Julie Freeman, the items were returned to their rightful owner who now lives near Guadalajara in Mexico. The one-time football star is enjoying his new life in Mexico according to his daughter and will likely appreciate the extra mile that the Graves went to return his items.